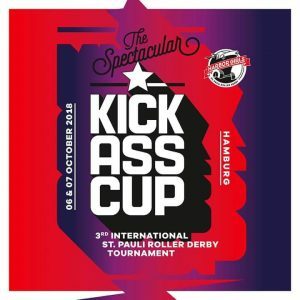 It stands for Women’s Flat Track Derby Asociation, the international organism that regulates the most played Roller Derby modality (there are other set of rules and modes of play, like Banked Track – the one played in the movie Whip it! – or the World Skate). One of its main characteristics is the feminist and inclusive philosophy promoted by the organisation. The teams that are part of the WFTDA are in charge of modifying, valuing and transforming the sport horizontally thourgh debate, voting, reunions, etc. Nowadays, it is formed by 416 teams and 16 aprentices who soon will be full members. All the teams in Spain under WFTDA rules although only Barcelona Roller Derby, Roller Derby Tenerife, As Brigantias Roller Derby and Roller Derby Madrid are members. WFTDA teams play sanctioned games, organized by the leagues or WFTDA recognized tournaments, which allow to go up or down in the ranking. The top 28 teams play the Championships classification in two Playoff tournaments, like the one being held in A Coruña at the end of August and in Atlanta in September. The final will be played in New Orleans in November. The winning team takes the Hydra. The objective of the teams (ours too!) is to go up in the ranking through sanctioned games to be able (someday!) to play in those Playoffs and take an Hydra to Madrid! For the third year in a row, we have placed first in the III Roller Derby National Championship, organized by the Federación Española de Patinaje and the Sicarias del Cierzo, Zaragoza’s local team, where the Championship was held. In the final, Las Gatas faced Vulcano Derby Girls (a team formed by Tenerife and other parts of Spain players), in a match that ended with 339 points for Roller Derby Madrid and 69 for Vulcano. – RDM vs Vulcano Derby Girls: 146 -16. – As Brigantias Roller Derby A Coruña vs RDM: 19 – 125. – RDM vs Sicarias del Cierzo (Zaragoza): 116 – 33. 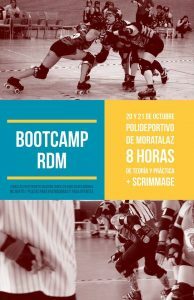 – RDM vs Vulcano Derby Girls: 339 – 69.